We started running trips in 2007; the year after we became instructors. During the years since, we have seen so many of you join us, and then join us again… and move forward as divers. We’ve watched you grow, improve, become dive buddies and ultimately friends.We have so much love for Cozumel, and so many of you have asked about a trip for 2016 – so we have recruited a new member to our team (outward!). In order that we can provide the same great service and fantastic dive adventure we’ve always wanted for you, we have asked Stephanie Murphy to host this year’s trip to Coz. Stephanie has been on an Atkins Scuba trip every year since we began, and so she is well suited to continue our tradition! She joined us as an Open Water diver in 2007, and has worked her way through several courses – AOW, a gruelling Rescue Diver program, and several specialties along the way including Digital Underwater Photographer, Underwater Navigator and Night Diver – and is now contemplating her Divemaster course! 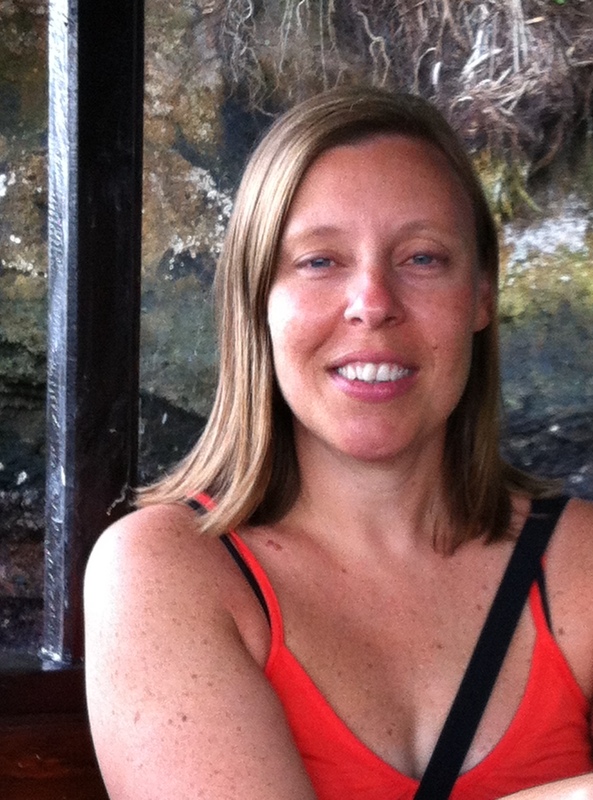 She also has our insider knowledge of all our favourite restaurants and spots in Cozumel. Please join us in welcoming Steph to our team! Click for details on the 2016 trip! Wow. Let’s start with that, shall we? We’ve just returned home from a fantastic 10-day dive trip to Indonesia. This is our story! 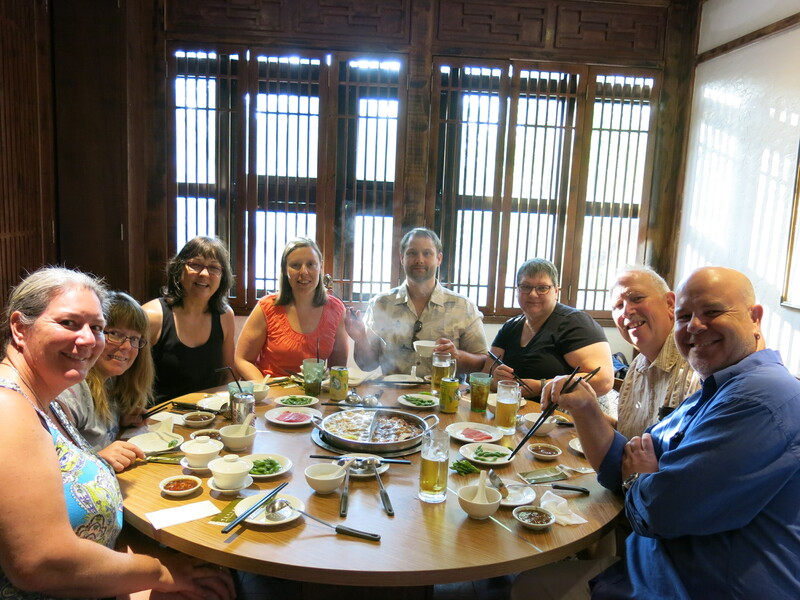 We began by all meeting up in Singapore; there were 8 of us in total, and we began our collective journey with a wonderful, authentic Chinese “hot pot” dinner. Two types of broth (one spicy, one not so spicy) boiled in a vat in the center of the table, while different plates of thinly sliced meats and veggies were dumped into each broth. A few minutes later, voila; ready to eat. Scrumptious! The next morning, we hit the airport for our flight to Manado, where the folks from Murex Bangka would meet us and transport us to our first destination. Bangka Island was a late change to our itinerary, but it proved a positive addition to our trip! 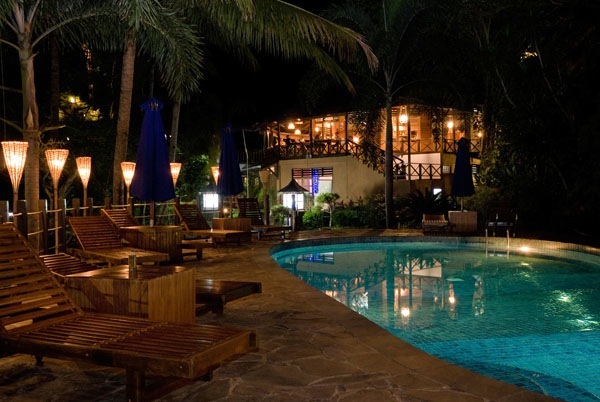 It’s a very small, quaint spot, with beachfront cabins all with a view of an active volcano, a single room for dining and entertainment, and a wonderfully friendly and accommodating staff. We all put our shoes aside for the three days we were here; who needs shoes! This was our first taste of Indonesian diving, and it did not disappoint! The reefs here are colourful with tons of soft corals, loads of fish life and loads and LOADS of critters. We did a checkout dive on the house reef when we arrived, to ensure we all had our weighting dialed in, and then did two days of boat diving, three dives each day. 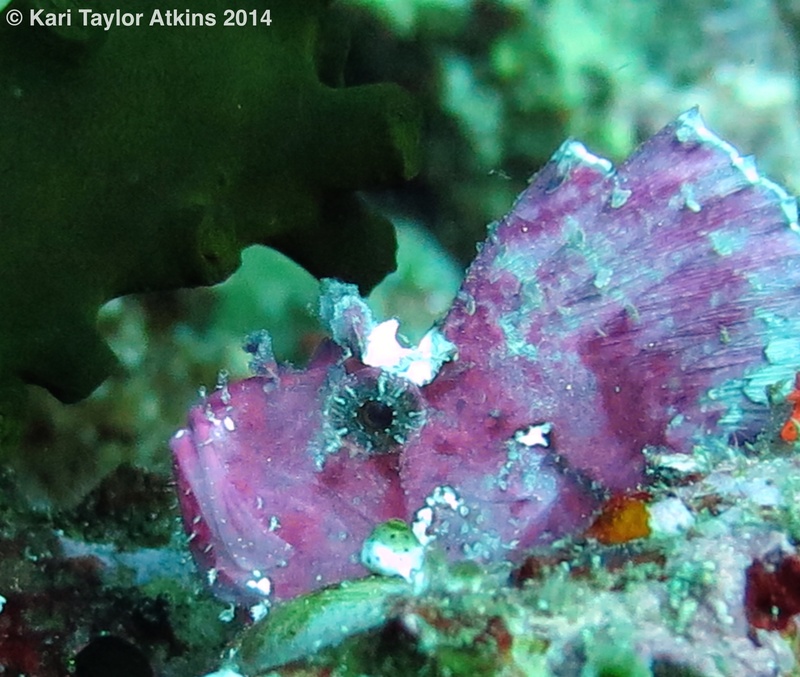 Leaf Scorpionfish – one of Bangka’s early treasures! Saturday was our transfer day. We had our luggage ready bright and early, and then got our dive gear on and boarded the boat. 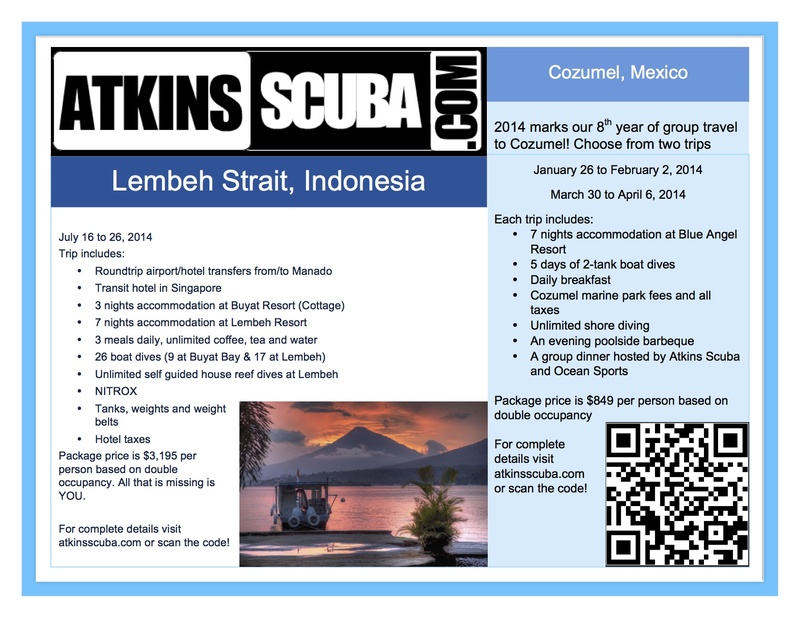 While our stuff was moved over land to Lembeh Resort, we enjoyed two dives along the way. A quick lunch and check in at Lembeh, and we were ready for the third dive of the day. Lembeh Resort was beautiful. Less rustic than Murex Bangka, it’s built into the side of a huge hill. 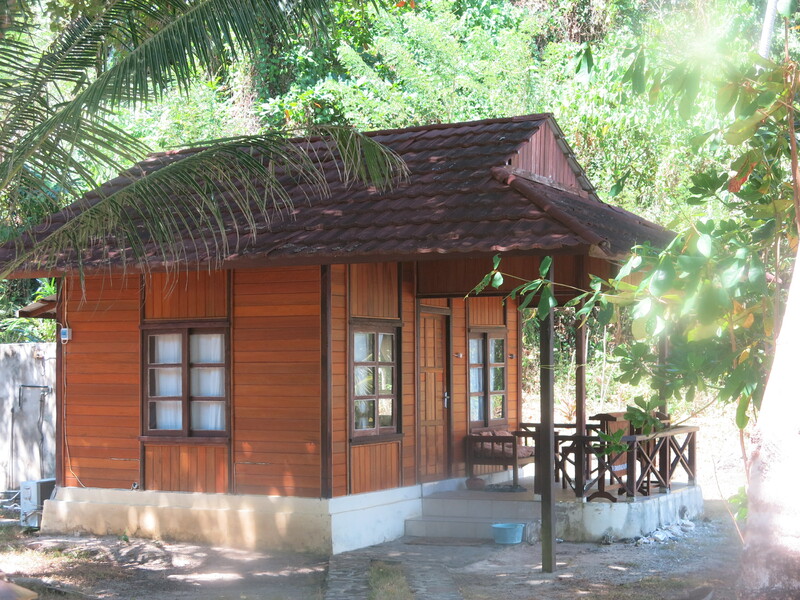 The wonderfully appointed cabins had great views of the strait, and of the “mainland” (the island of Sulawesi) across. Food was good and quite varied with a mix of buffet dinners and a la carte. Lunch and breakfast were buffet style, along with a “how you like them” egg station at breakfast. Between dive snacks were available, provided by a smiling staff member as we stepped off the boat, along with coffee, tea and drinks poolside. 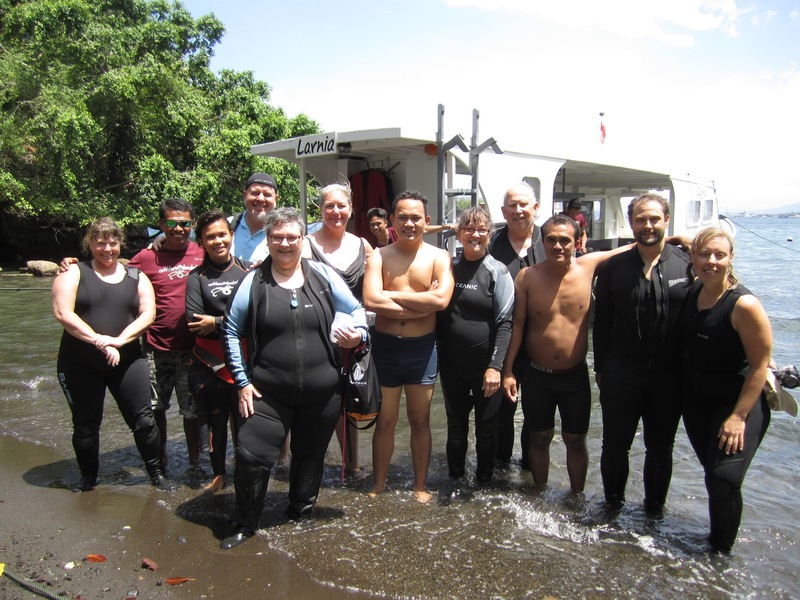 Fantastic group with our Lembeh dive staff! Dive service was valet style – thrown off slightly by the sidemount rigs that Matthew and I brought with us – so our gear was brought to the boat each morning and set up, ready to go. Boat rides to the dive sites were generally short, dive guides were knowledgeable, and a mix of muck diving and coral reef sites provided plenty of opportunity to see TONS of stuff! Thanks so much to Fandy and Ramly (our guides) along with Yanti, our boat staff, all the hotel staff, Miguel and Ana at the Lembeh Resort, Kristine, Lauren and Dimpy at critters@lembeh – we had a great time! We also had some achievements to celebrate: Celia had a birthday, and then did her 100th dive, as did her husband Larry (the 100th dive, not the birthday). Nicole completed her Divemaster program, along with her Peak Performance Buoyancy course and her Deep course, and she also completed – along with Stephanie and Debbie – her Digital Underwater Photography program. And Steph also finished up her Enriched Air Diver program! Lots of moving forward, and we are very glad to have been a part of all of it – way to go, divers! You can check out a few of Kari’s underwater photos here, or here on the AtkinsScuba Facebook page. One of our participants, Riley Tanner, took some wonderful photos, which he has shared on PhotoBucket, here. Thanks, Riley! And if this whets your appetite for diving, check out our trips to Cozumel in 2015, and join us! 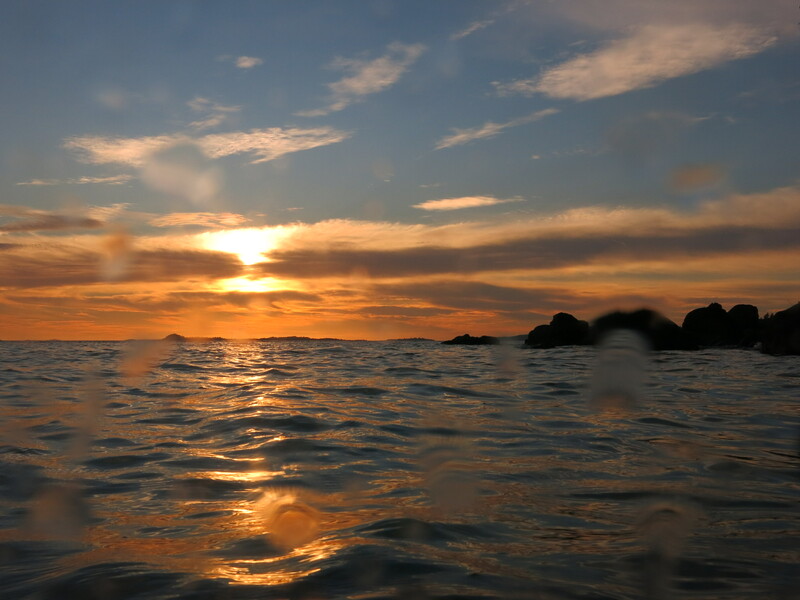 The sun sets on another awesome dive trip! …to the trip of a lifetime. Discover your Muck Diving World! 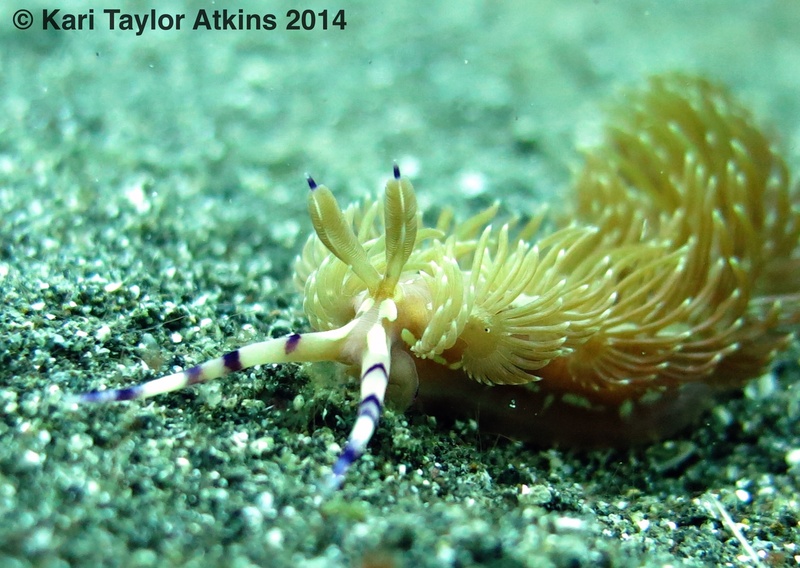 Check out critters@lembeh on facebook for their own photos and videos of the diving! And then all you have to do is sign up, and show up. Full trip details are just a click away. Exciting addition to Indonesia trip! 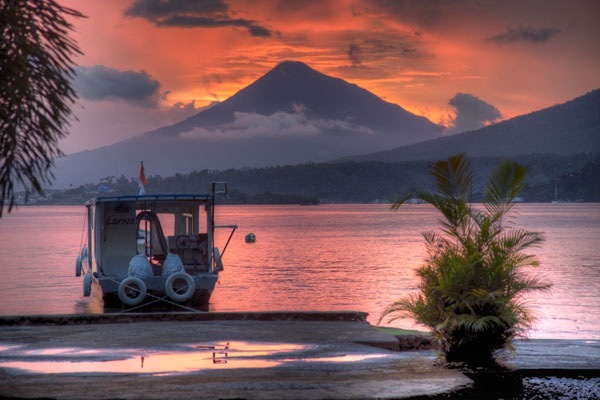 We got some very exciting news yesterday; during our stay at the Lembeh Resort this July, two of the region’s most experienced underwater naturalists will be there also. It’s Fish Geek Week, and we couldn’t be more thrilled about that! Gerald Allen and Mark Erdmann will be there from July 18 to 26, 2014 and will be conducting a number of presentations, as well as being available for questions, dives, and general hanging out. This wonderful opportunity comes at no cost to us, so take advantage! For full details of the trip, click here. Come and get your Geek on! All that is missing from this photo is you. Sign up, then show up; it’s that easy! Looking for your next adventure? Planning a winter getaway to Mexico? Or hoping to scratch one of the biggies off your bucket list? We’ve got a trip for you! All you have to do is sign up and show up!